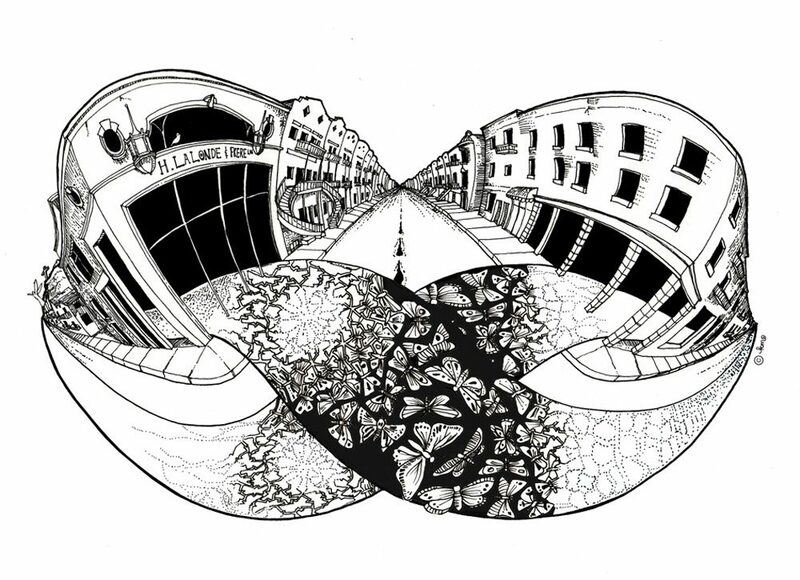 Another ink illustration in the “Know Hope” series and inspired by my urban explorations of Montréal. At the intersection of Villeneuve and Avenue du Parc stand two carpet stores facing each other (one has since gone out of business — though Parc Avenue has no less than half a dozen of carpet stores within these few blocks). Sumptuous carpets hang tall in their grand windows, and in the imaginings of my mind’s eye I saw the carpets burst free, transforming into Escher-like tessellations.